Last edited by Little Luna's Mum; 08-22-2018 at 11:38 AM. Remember when you vote to take into account the theme of the competition - HAMSTERS IN MOTION . Remember the theme - HAMSTERS IN MOTION. The picture you vote for should really demonstrate the theme. The poll with close at midnight on 31ST AUGUST at midnight GMT. Congratulations SKB! That is a lovely photo of Sherbert! 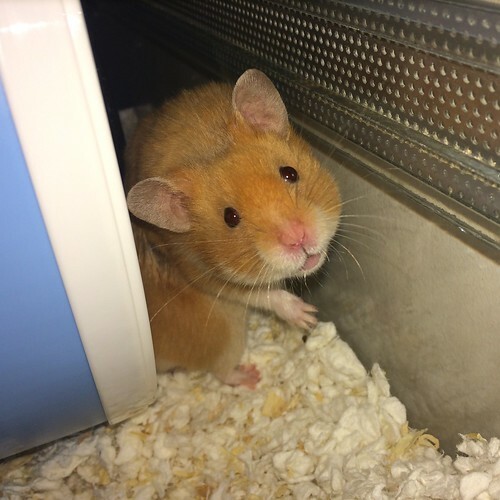 She was such a lovely ham! Congratulations to SKB and the beautiful Sherbet, winners of this month's competition. Thank you all for the gorgeous entries.